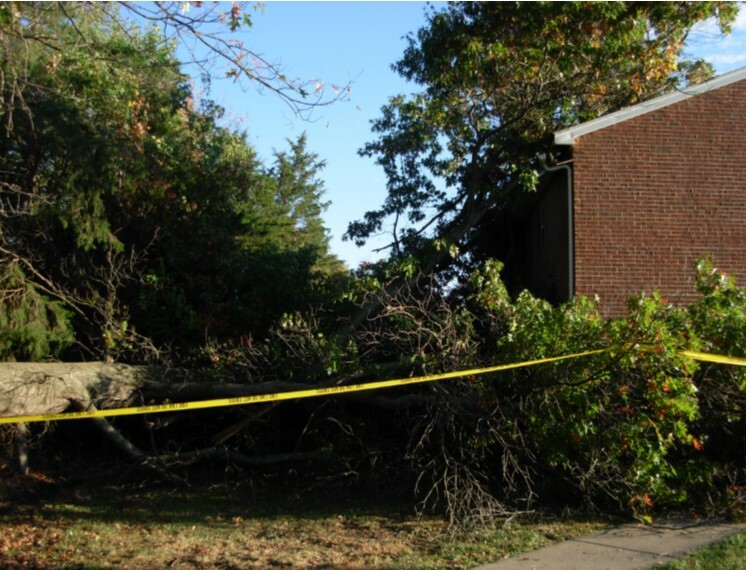 Kim Smith was welcomed to her new home in Grottoes Manor by a storm and a large tree. November 3, 2017 – Grottoes, VA . . . “I had only been here a few days when I heard this loud bang on the side of the house,” the 46-year-old said. “I went outside to investigate, and saw a huge tree had fallen on the building.” Everything happened so fast, Smith didn’t have time to get dressed. The management had the tree removed the next day and are continuing to work on repairs. This is the first time Smith has lived in an apartment. She has been in the area for more than 30 years and she is looking forward to putting down roots at Grottoes Manor. © 2015 All rights reserved. Mark Dana Management, LLC.